Updated information- June 4 (Tue) Special seminar, “Future Asia after elections”. Here is detailed information (Japanese only). and provide outcome in one stop. the end and supporting clients’ needs speedy. Dr. Ohe has vast experience as a consultant for companies competing in the high tech industries of the United States, Europe and Japan. He founded T. Ohe & Associates, Inc. in 1982 to assist companies in building better businesses in Japan. Before beginning his consulting practice, he was General Manager of Dymo Japan, Inc., a large Japanese subsidiary of Dymo Industries. Dr. Ohe currently sits on the boards of Cognex Japan K.K., a Boston-based machine vision manufacturer; and WERU Investment K.K. a zero stage capital new business investment firm associated with Waseda University. 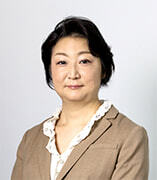 Dr. Ohe is currently a professor at Waseda Business School of Waseda University. He teaches Corporate Venture and Entrepreneurship courses. His research interests cover Experimental Management and Open Innovation. He has also been consulting on corporate venturing activities with clients that including Matsushita, NTT, Olympus, Seiko Epson, Taiheiyou Cement, Konica, LG, and IBM. Dr. Ohe has a Ph.D. in Experimental Physics from the University of Maryland and an M.B.A. from Columbia University Graduate. School of Business. Dr. Ohe has a BS degree in Physics from Nippon University in Tokyo. Master degree from Graduate School of Economics, Keio University.